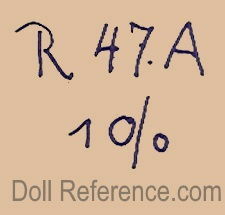 Theodor Recknagel bisque head googly eye bunny doll, composition jointed body, doll mold 47. 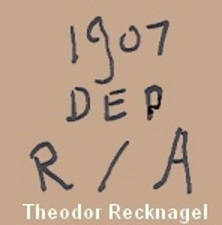 Theodor Recknagel who was born in 1860 and died in 1930, began his porcelain factory in 1886, which was located in Alexandrienthal, near Thuringia, Germany. 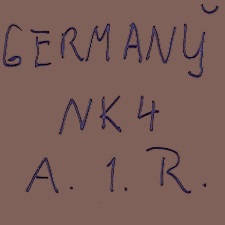 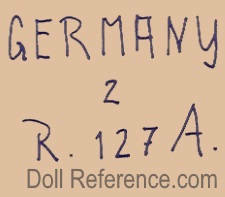 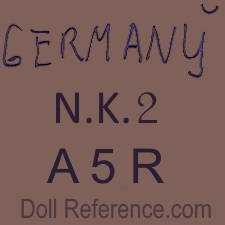 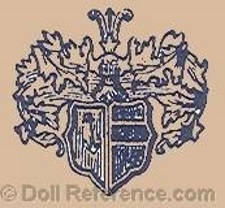 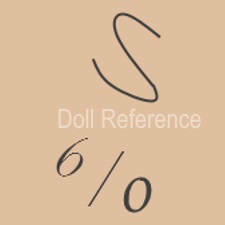 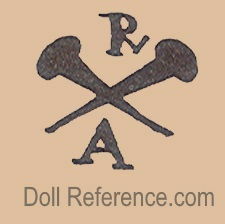 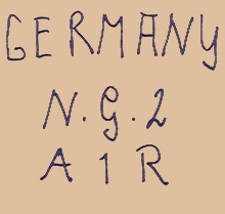 Recknagel doll production did not begin until around 1893. 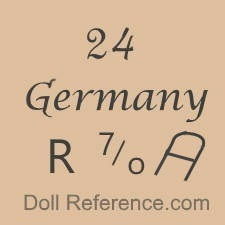 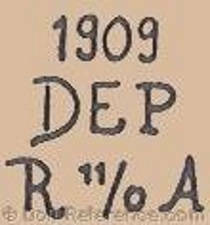 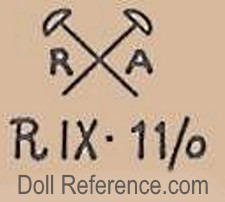 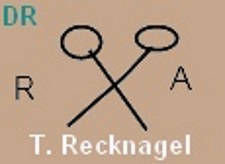 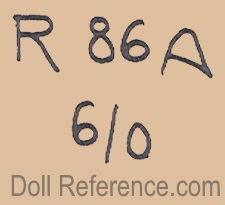 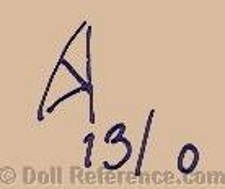 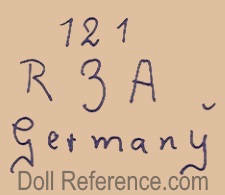 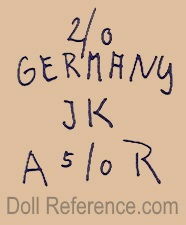 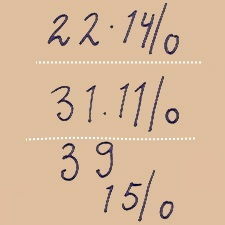 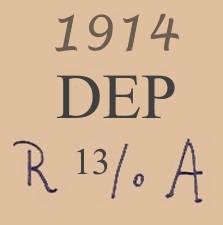 It's believed by researchers the RA or sometimes reversed AR found in Recknagel's doll mark stands for Recknagel Alexandrienthal, also, Recknagel's four digit doll mold numbers (19XX) do not appear to co-inside with actual dates, as one might think. 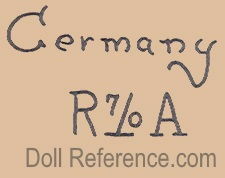 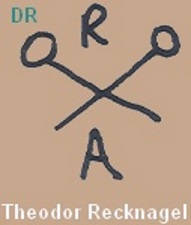 Recknagel dolls can be of the finest quality to rather course bisque. 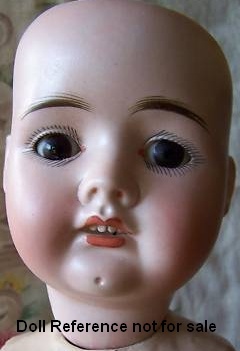 Recknagel Dolly Face doll mold 21, is 21" tall, bisque socket head, feathered brows, painted upper and lower eyelashes, glass eyes, open mouth with teeth, chin dimple, wigged, jointed composition and wood body. 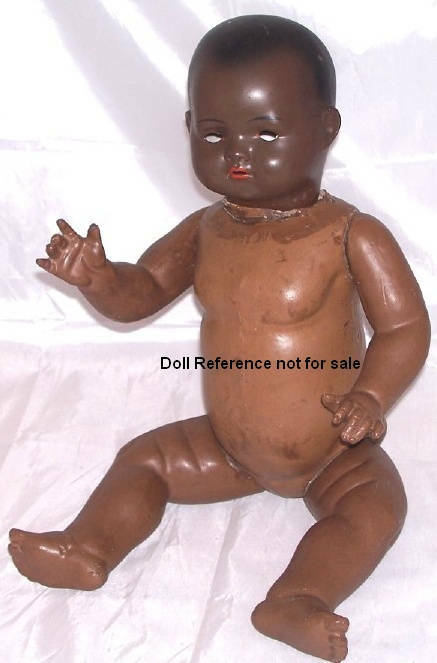 Recknagel Character Baby - Black doll, 20" tall, glass eyes, open mouth, socket head newborn with bent limb jointed composition body, NK in marking as shown at right. 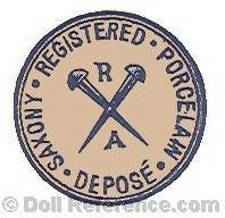 Recknagel Googly eye doll, dressed as a Rabbit, doll mold 47, 10" tall. 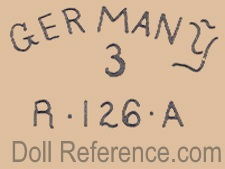 Other Recknagel Googly Eye doll mold numbers are; 43, 44, 45, 46 47. 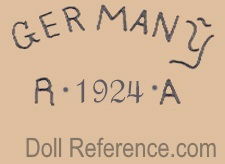 Max and Moritz dolls or figurines are 8 or 10" tall with doll mold numbers 31 and 32.